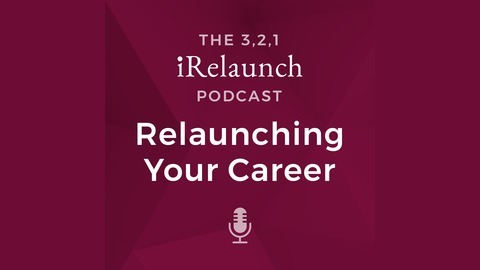 iRelaunch is all about getting professionals back to work after a career break. We work with employers to create, implement and expand career reentry programs of all kinds, we produce the largest and longest running dedicated career reentry event in the country - the iRelaunch Return to Work Conference, and we have a fast-growing national community of nearly 65,000 relaunchers in all stages of returning to work. iRelaunch Chair and Co-founder Carol Fishman Cohen's TED talk “How to get back to work after a career break” has viewed more than 1.7 million times and translated into 29 languages. Join us for our award-winning podcast featuring advice, strategies and success stories on returning to work after a career break. 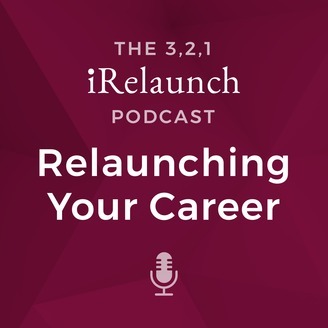 EP 83: “An Unlikely Relaunch Route to iOS Developer: Kate Rotondo Describes Her Journey"